I love it, Paul - seems like he could be a Greek God of something, too. Yup! 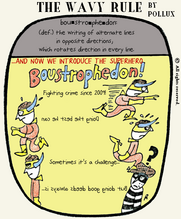 Maybe the protector of grammarians!